History podcasts require a lot of passion for the subject, dedication, extensive research, and attention to detail. Podcasts seem to have been made for history given the discipline’s episodic nature. There is a fantastic amount of excellent history content in podcast land — so much so that I gave up trying to pick only five podcasts early on in my research; I’m subscribed to a total of 12 history podcasts at the moment and not a week goes by that I don’t discover new ones to test drive. So this will be the first of many history podcast reviews. 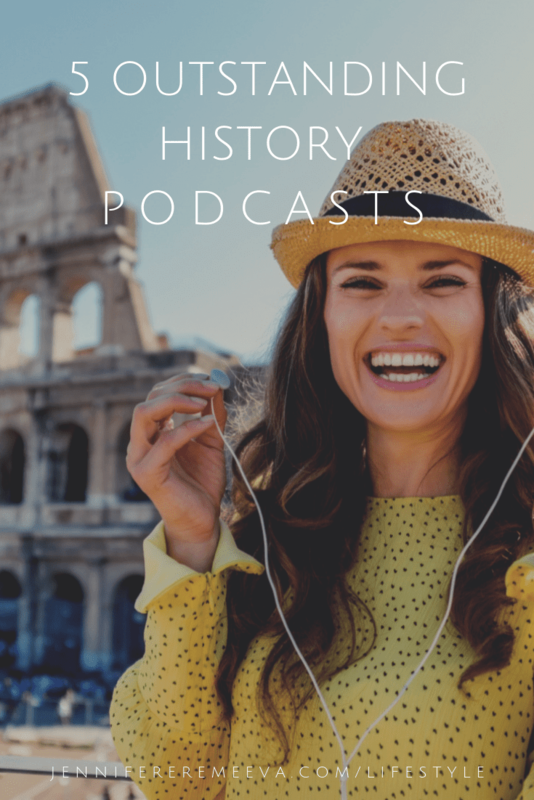 You’ll notice that none of the popular “History of” podcasts (History of Rome, History of China…) is listed here as they will warrant at least one post, if not several. These are great podcasts, and I’ll look forward to discussing them in an upcoming review. I came to history very early — my imagination set on fire by the idea of the Ancient Egyptians, Greeks, and Romans from primary school studies. I poured over a copy of D’aulaire’s Book of Greek Myths, had an intense Little House period (who didn’t?) and became fascinated by Russia and the Romanovs at age 13. 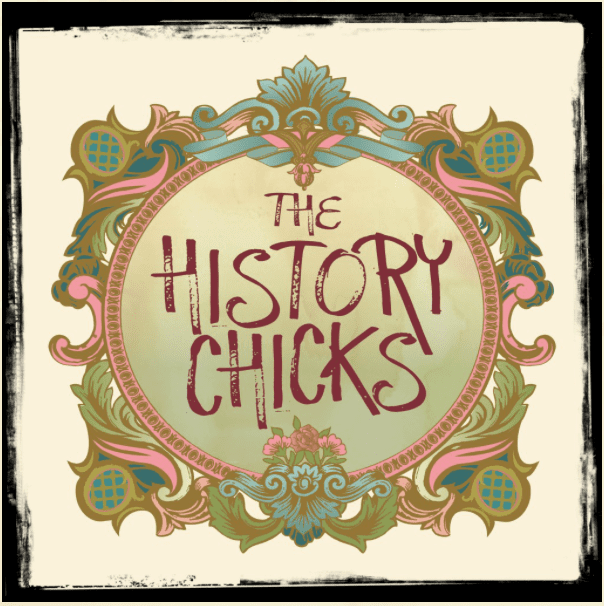 How I wish there had been podcasts such as The History Chicks back then! I’m making up for lost time now, by binge listening to about 4 history podcasts a week. Like all good podcasts, history podcasts require a lot of passion for the subject, dedication, extensive research, and attention to detail. Each of the five podcasts below excels at this, but they each manage to deliver the subject matter in a compelling way that keeps me coming back for more. The Ancient World is organized by seasons. 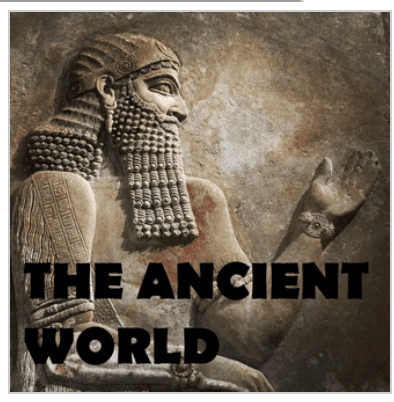 I have a particular fondness for The Ancient World Podcast. I was once on my way from Tel Aviv to Philadelphia after a very long and somewhat arduous trip in Israel. I checked in for my flight, only to learn that it was six hours delayed. Luckily, I had twelve episodes of The Ancient World Podcast downloaded on my iPad, so I found a quiet corner, some not-that-bad-at-all kosher chardonnay, and soon I was happily ensconced in Ancient Rome with Livia and Augustus. The time flew by! Thank you, Scott! This is an assiduously-researched podcast organized by series and narrated by Scott C., the founder, and creator of this low-tech/no bells and whistles podcast that relies on a real passion for the subject matter. Scott has a great gift of putting the listener right down into the scene and making it come alive. I’m deep into his “Bloodline” series, tracing the generations of Ancient World rulers from Cleopatra to Zenobia and I find myself coming up with tasks I can do while listening to squeeze more episodes in. If you love delving into antiquity with shows like I, Claudius or Rome, then you will adore The Ancient World Podcast. Even without the not-half-bad-at-all kosher chardonnay. Download the episodes, create a playlist and listen in ascending order (i.e. 1-54). 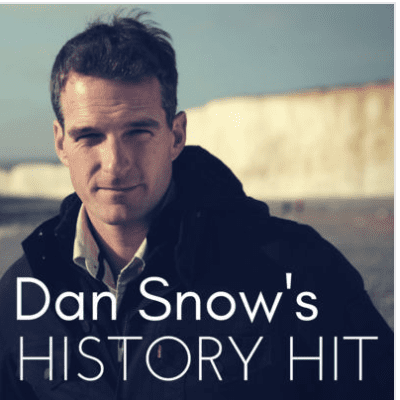 There is nothing I don’t love about Dan Snow’s popular History Hit podcast. 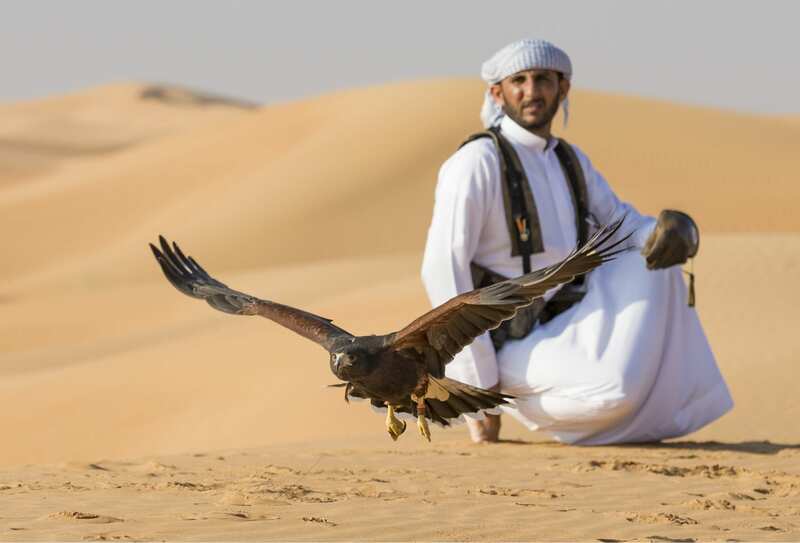 Each week is a delightful episode on a compelling topic, often featuring host Dan Snow visiting a location or interviewing historians and authors such as Philippa Gregory, Simon Seabag Montifiore, and Joanne Freeman. The mood is informal, and Dan’s enthusiasm for his subject matter is infectious. The topics are all over the place in terms of period and subject matter, making this an eclectic podcast in the nicest possible way. The History Hit Podcast’s success has led to the creation of History Hit TV video-on-demand service, which is enjoying considerable acclaim. Featuring the world’s top historians discussing the same wide range of topics with new content every week. This is must for all history buffs. Dan has a distinct penchant for military history, so if that is an interest, this is a must-listen podcast. Readers who have been with me for a while know that it takes a lot to get me excited about American history. I find it almost impossible to get fired up about the Civil War, the Vietnam War makes me yawn on contact, and I don’t know the names of all 45 presidents, nor their party affiliation. After Jefferson and before Franklin Roosevelt, it’s all the consistency and appeal of a dish of cold oatmeal. 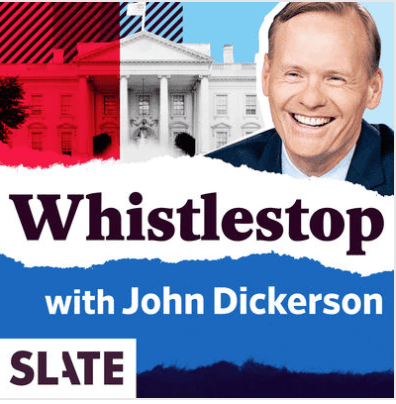 Happily, for me, there’s Whistlestop, the brainchild of my brain crush, John “The Divine” Dickerson of the Slate Political Gabfest, formerly of Face the Nation, and currently (and still inexplicably to me) of CBS This Morning. Dickerson, the son of pioneering reporter Nancy Dickerson, is a born and bred Washingtonian, a thoughtful gentleman journalist and a scholar — which is so rare in today’s media as to make him an endangered species. He’s also an unapologetic presidential history geek. In Dickerson’s deft hands, this mushy, messy United States history takes elegant form and shape in the regular podcast, which peels back the curtain on presidential foibles, twists of fate, near misses, and accidental wins. Dickerson examines campaigns, debates, administrations, takes a look at what happens When a Supreme Court Justice Leaves a Seat Earlier than Expected, unpacks The Art of Political Umbrage-Taking, and ruminates over the president’s role as Griever-in-Chief and Guardian of Common Ground. In the likely event that you become addicted to Whistlestop, you’ll love John Dickerson’s 2016 book WHISTLESTOP: My Favorite Stories From Presidential Campaign History, which provided me with much-needed distraction and perspective during the 2016 Presidential Election. If you love American history or are fascinated by the presidency, then this is the podcast for you! This is the history podcast I look forward to each week and each week I delight in reminding myself that it comes out twice a week! 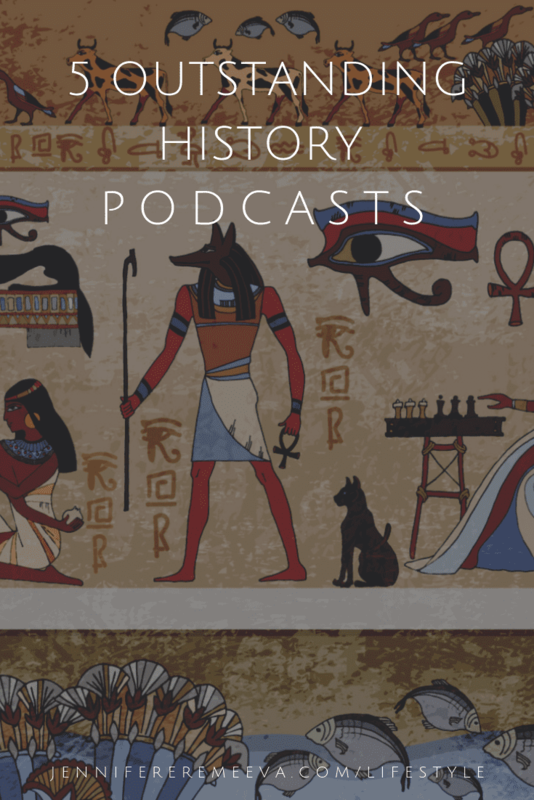 An offshoot of the BBC’s popular History Magazine and World Histories Magazine, the podcast brings modern historians, authors, professors, and researchers in for interviews about their work and latest trends in the study of history. The format is a one-on-one interview or roundtable discussion. I find my nightstand pile swelling each time I listen to a History Extra Podcast as there is always something that captures my imagination. As this post goes live, the podcasts are particularly interesting as the staff is celebrating their 100th episode by going to back and reviewing interviews with scholars from the early days of the podcast. There are also interesting roundtable discussions such as a look at 100 Women who Changed the World, the sticky problem for authors of fiction in dealing with Historical Fact and Fiction, and a fascinating discussion between popular historian Tom Holland and Ed Husain on Islam’s Struggle with Modernity. If you love history and historical fiction, you’ll love these 30-50 minute programs, which drop twice a week. 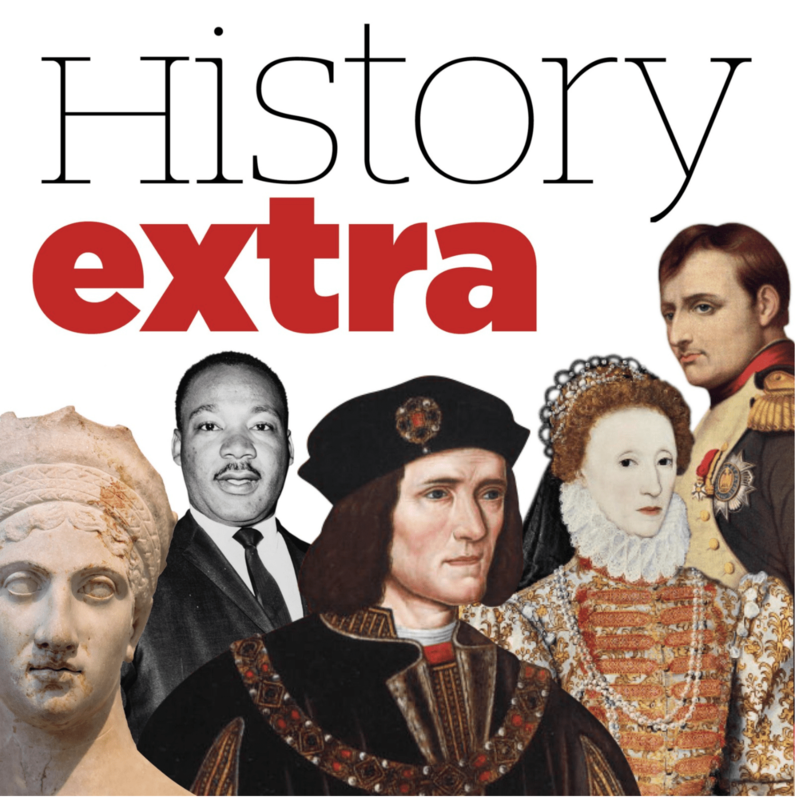 You can also subscribe to the History Extra Magazine in digital and print versions. Perfect for: streaming surreptitiously in the car to get your kids hooked on history. If I were trying to get a sullen teenaged girl to take an interest in history, I’d stream The History Chicks regularly in the car or around the house in the sure and certain knowledge that my offspring would soon be clamoring for more about Joan of Arc, Hatshepsut, or the Romanovs. This long-running podcast is hosted by history buffs, Beckett Graham and Susan Vollenweider, who manage to fuse deep-dive research with an engaging and compelling discussion of their female subjects. The mood is lighthearted, but you will come away with as much knowledge as you do from In Our Time, with none of the misogyny. Each episode is approximately an hour long and covers the life, or aspect of the life of a famous woman in history. You can go about it methodically and make your way through their chronological list, pick and choose from their extensive backlist, or just subscribe and enjoy whatever drops into your player that week. The hosts emphasize that “this History 101, and there isn’t a test…” Indeed. If you are interested in learning more about the history of women or just want to listen to some great stories, well told, then subscribe to this podcast and enjoy! Thank you all so much for your overwhelming response to this series! So many of you have connected to say that you enjoy it and you’d like to learn about more great podcasts! To provide a venue for discussion and your own contributions, I’ve created a Facebook Group, Jennifer’s Podcast Picks, where I will post links to new podcasts I discover and look forward to hearing your ideas. If you enjoy communicating in this way, please do join the conversation! One thing I’d love to know is the topics you would like to hear about. Are you looking for podcasts on gardening, knitting, sports, or how to do everything? Let me know! If you are a Pinterest fan, do visit my dedicated Pinterest board for The Podcast Review, where you will find links to each of these posts!